"Cambium Saddles work like a hammock, delivering immediate comfort whilse absorbing road vibration and shock." The C19 is a wider version of the Cambium C17, making it suitable for the rider who prefers a more upright riding position. The construction of Cambium Saddles works like a hammock and delivers immediate comfort while absorbing vibration and shock, performance traditionally found only with natural leather saddles. The Cambium is assembled from replaceable parts and requires no special tools for servicing. 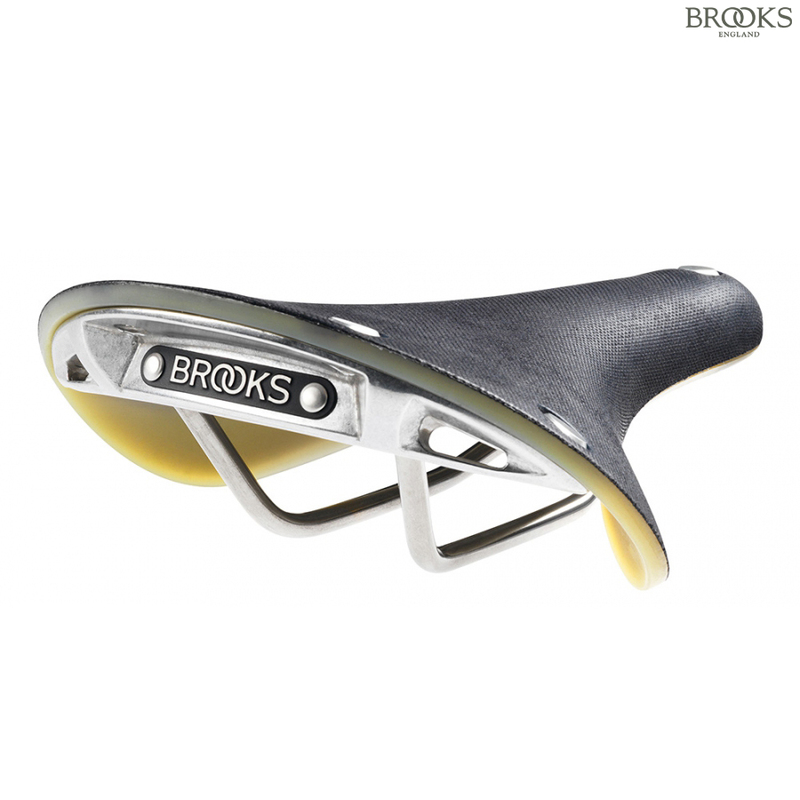 The vulcanised rubber top is practically indestructible; should your Cambium frame sustain any serious structural damage, repairs can be quickly and easily accomplished by you, or by your trusted Brooks dealer.